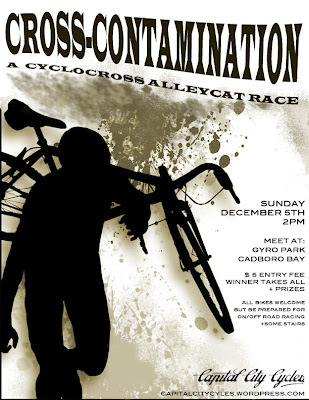 The man who brought you the Victoria Chainline Massacre is proud to present Cross-Contamination - a cyclocross alley cat race! This event will involve on- and off-road sections through some of Saanich's most beautiful and challenging terrain. Be sure to choose your whip wisely. 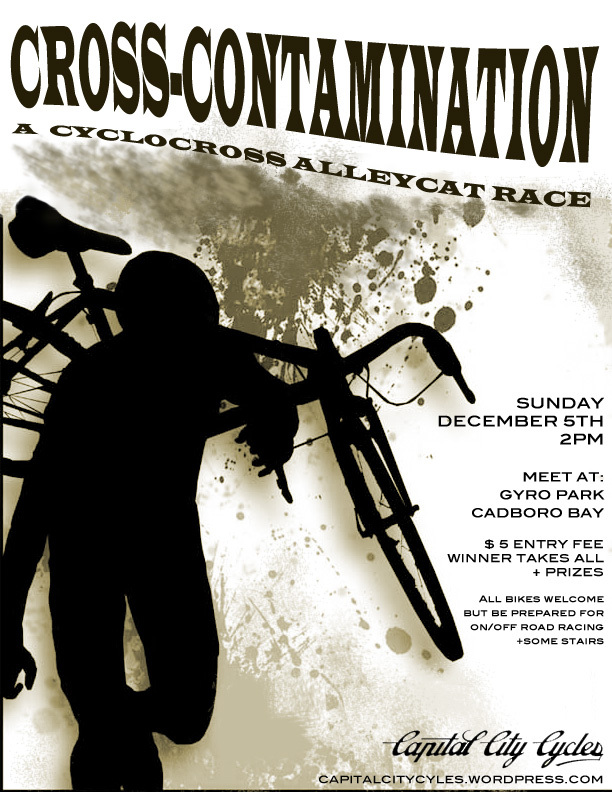 Check out the poster for race details.